A spicy, floral, citrus, vmen's fragrance. Juicy, bitter grapefruit, noble sour lime, sweet, fresh bergamot, fresh flavor of pink pepper, cardamom and cumin cold constitute the initial composition of flavor. Under heat of the skin gradually reveals the average floral notes. 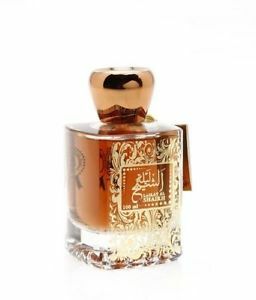 A traditional oriental fragrance for men, floral notes are presented in their sweet-wood design - cool white jasmine, rose buttery burgundy evening, smoky, pungent notes of patchouli. Resinous woody notes of cedar and sandalwood create an exciting warm heart of the fragrance, the notes of musk bring sensuality to the overall composition.